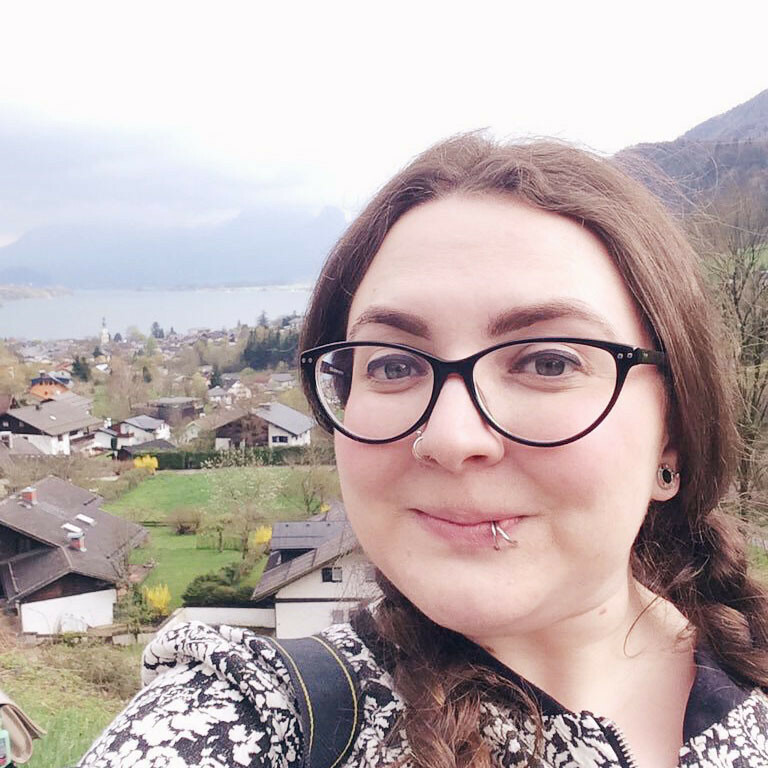 You know how I love Austria? Of course you do, I never shut up about it. Well, I was recently looking up best places to buy stollen in Salzburg (I'm going back at Christmas, you see) and the Google results were less than helpful. Instead they just showed me the best places to buy stollen in London. However one of these places was a cafe called Kipferl which- get this- is an Austrian cafe. 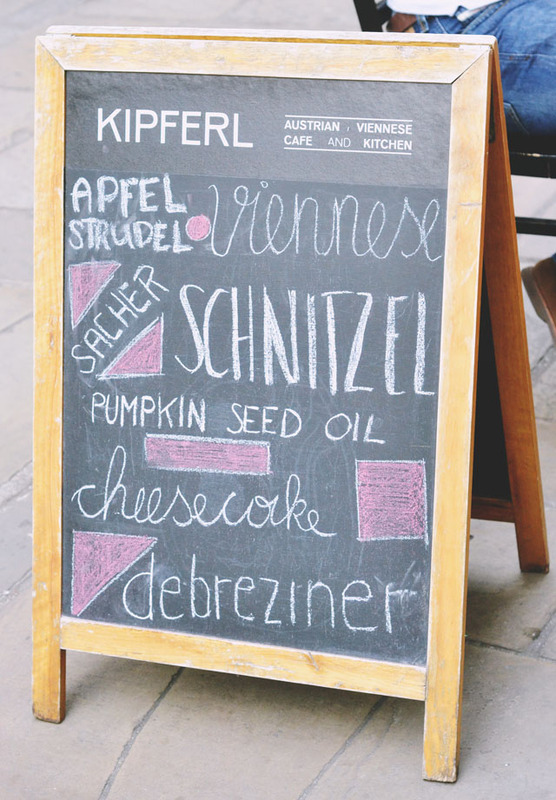 A frickin' Austrian cafe in London! You better believe I made a special trip to London just to get some Almdudler. 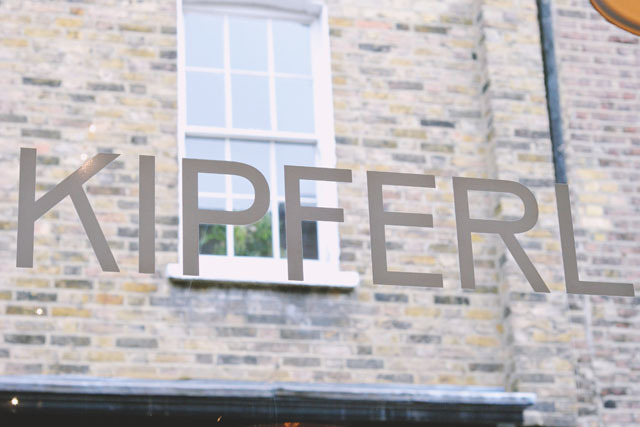 Kipferl has two branches- one in Islington and one in Ladbroke Grove. Since the Islington cafe is easier to reach on the tube, this is the one we visited. 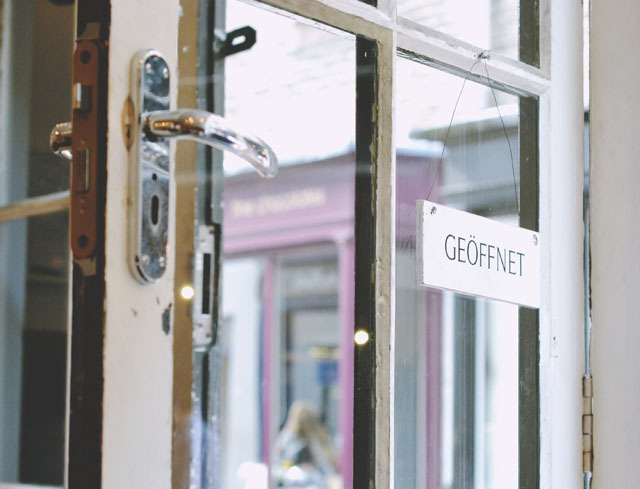 Just a few minutes from Angel, it's located in the most gorgeous little ramshackle passage with independent shops and cafes on either side of the narrow pedestrian strip. Honestly, it's like leaving London altogether- more akin to the Laines of Brighton than the rest of the city. I'd read some reviews online and it seemed a popular, busy place but luckily we arrived at just the right time. There was a table next to the large window where we were seated, with a long padded bench running along one side. 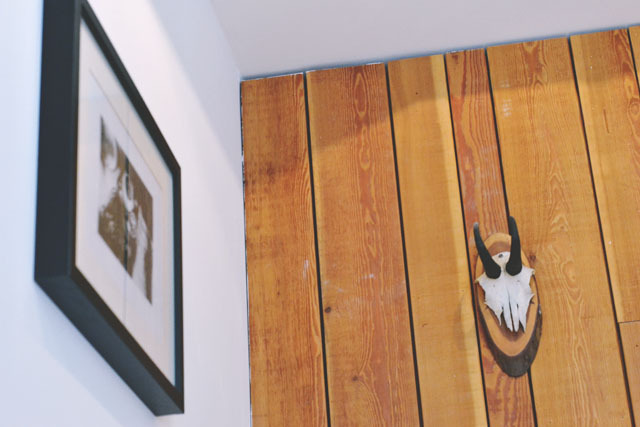 The interior is bright and airy with framed photographs on the wall as well as the old animal skull and a rack of Austrian newspapers. Service was very friendly and I believe the staff were all Austrian themselves (at least, they had vaguely Germanic accents). Looking through the lunch menu, I was torn on what to have but eventually played it safe with schnitzel (which doesn't come with noodles, remember) and a can of Almdudler. Sweet, sweet Almdudler. 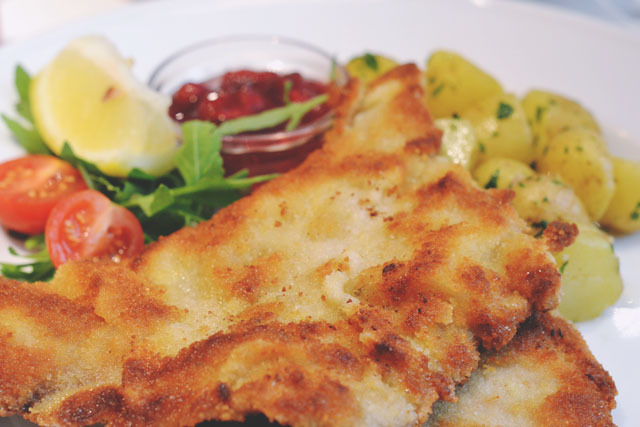 The schnitzel was perfect with light breadcrumbs and lean veal, served with buttery rosemary potatoes. Yum! Thankfully the meal was fairly light so we still had room for dessert. Rich chose apple strudel (I stole a bite and it was delicious but also very, very cold!) whereas I took a risk with Topfentorte which was described as Austrian cheesecake. Oh God, it was good! The pastry base is very thin so it's about 95% cheese. 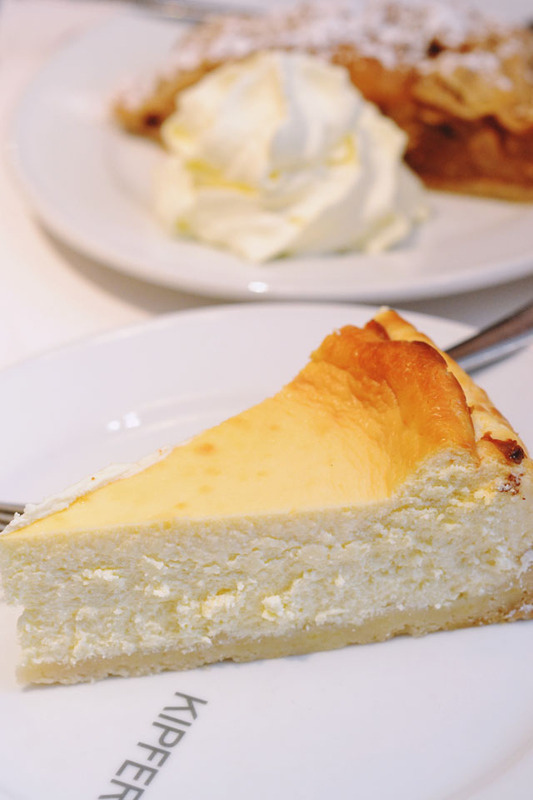 The cheese itself was much thicker in consistency than the one we have on our cheesecakes and had a crumbly, almost curdled texture. It sounds odd- and it felt odd too, to be fair- but it was delicious with a rich vanilla taste. The only problem was that it was very rich and the slice was pretty substantial so I couldn't eat the whole thing. 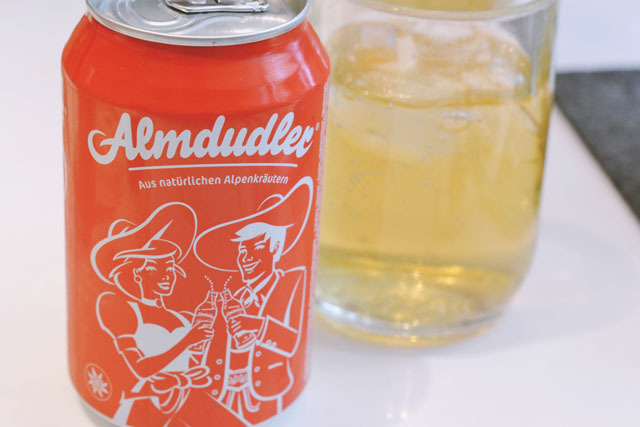 Finally, as if we hadn't stocked up on Austrian goodness enough, we bought some cans of Almdudler to take home. 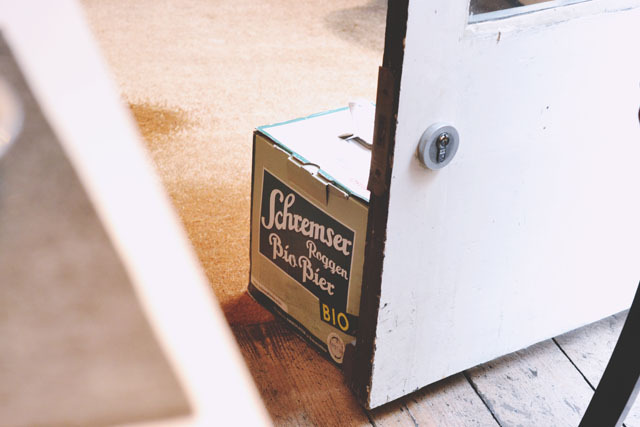 There are shelves with a whole range of foodstuffs to take away, from wine to recipe books. It was wonderful and I'll be returning next time I'm in London. Of course, all this goodness comes at a cost and it was a pretty pricey lunch but definitely worth it in my eyes. When I win the lottery, I'll be buying a flat nearby so I can pop round for cake every morning!